I am here to guide you into Proclaiming the Revolutionary Story of the Future, packed with Heart, Meaning and your unique being. Through Story Cultivation, Expressive Arts Explorations, Radical Coaching and Facilitation, we will set fire to the stories that drive you and your organization. As an expressive arts practitioner and a nurse, I use the creative arts, mindfulness practices and story to strengthen your voice and showcase the unique voices in healthcare. Together we will create a playground for your being-ness, your unique voice, your own culture of you and how you thrive and contribute to the greater culture. I serve individuals, the healthcare industry, non-profits and other social mission organizations. My mission is to maximize human potential, vision and innovation, through story, mindfulness and the arts while creating leaders at every level of an organization, especially in healthcare. I work with individuals teams and organizations. Are you ready to get started? hi, MY NAME IS kate and I'm being kate being. I believe that words live when we impart meaning to them. That's how I got "Being Kate Being." In a world where there is so much Doing and Having, I needed to bring my Being home. So, I made a little sandwich and put me in the middle. I am Being me, and you can Be you. Our Being-ness needs to Be voiced more than ever in our hurting world. I look forward to sharing my and your stories. As an artist and story coach, I act upon and believe that we can ignite and build culture through the power of story and the arts. 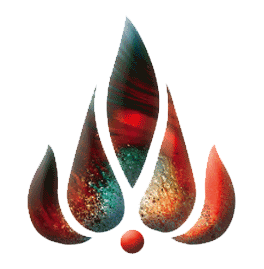 The flowering flame, a-bloom with possibility and beauty, represents the life I choose to live and bring to my work with individuals and organizations. After a lifetime of nursing, I know that our systems, especially those in healthcare, are wounded. Wounds heal from the inside out. If we recognize the breakdown that has happened to our community and give a voice to what matters, we can restore and design a world of possibility together, while fueling a future of an informed and collective design. As we give the power of stories and the arts to those in the healthcare and all of our systems, we can pave the path from what is unseen, unheard to a bold and vibrant voice and future. One of engaged citizens, empowered providers, and enriched internal systems, that make meaning in the stories they tell every day. craft your heroic self-care story! Because I'm so excited to launch my brand new website, I want to offer you a first access peek at an upcoming, free online course that I've been working on. It's time to move your lived story into a bold new pathway! Fill out the form below for your FREE worksheet to craft your own heroic story and start your path to self-care resiliency!